"Many thanks to all in the team for making my recent root canal treatment such a stress-free experience with each stage of treatment being clearly explained by Mr Goria in terms easy to understand. All members of his team from receptionist to nurse made me feel welcome and relaxed as soon as I arrived and throughout each visit. A friendly and professional practice I would certainly recommend." M.H. "Receiving treatment from Mr Goria and the team at The Chequers has been a very reassuring experience: Professional, highly competent, clean, kindly and excellent at explaining every aspect of the procedure. I have felt myself, intuitively, to be in the most trustworthy and decent of hands. I would recommend The Chequers to anyone requiring root canal treatment. With thanks, R.G." 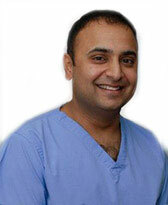 "Root canal is not something to look forward to, but if anyone can minimise worry and discomfort, it is Rahul. His professionalism makes one feel completely safe and at ease. I shall be forever grateful. His advice about anaesthesia was equally useful....and saved me a great deal of money!" S.Z. 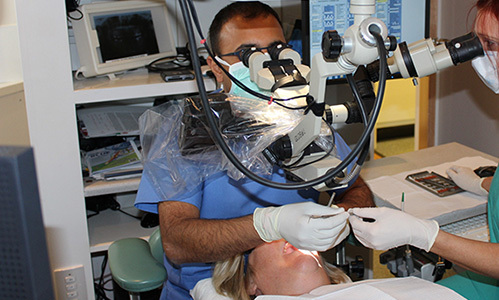 "I had experienced tooth pain for 3 months and was advised I would need root canal treatment. I was recommended to The Chequers Endodontic Practice by my dentist. I received fantastic reassurance during the whole procedure, and Rahul explained in detail each part of the procedure and what to expect. I received total reassurance and instantly felt relief from pain. All very professional and would never worry about having root canal treatment here again." 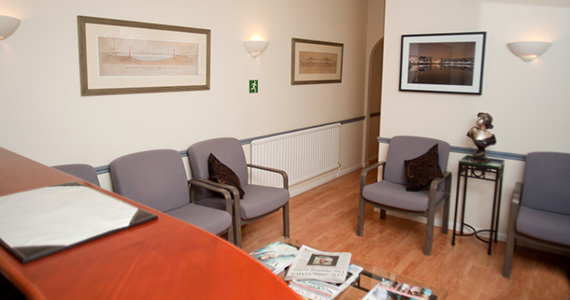 S.S.
"Thank you so much for the expert care and attention I have received at The Chequers Endodontic Practice. I am impressed by the friendliness and patience shown by everyone I came into contact with and by Mr Goria's expertise in dealing with such an involved tooth problem. He always took the utmost care to make sure I was comfortable and in no pain. 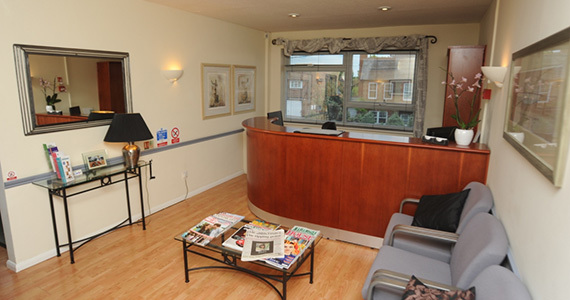 Many thanks, R.T."
The Chequers Endodontic Practice was established in 1993; it is situated in the heart of the Chiltern Hills within easy access of the M40, M1, M25 and London. 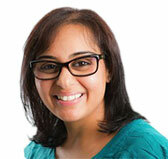 The Endodontic Specialists, Rahul Goria and Dipti Mehta, are known for their commitment to excellence. Our staff, Practice Manager, Rachel Stagg and Endodontic Nurses Teresa Joyner and Emma Severn have been members of the practice team for many years. They are highly trained and also committed to excellence. 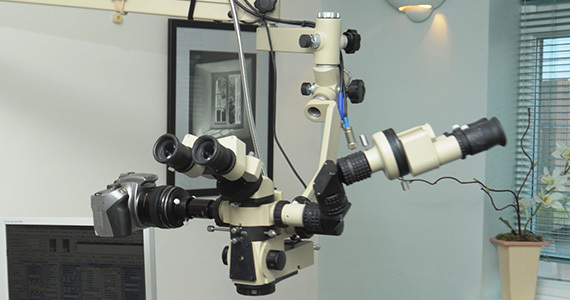 Between us, we utilise advanced equipment including operating microscopes and many innovative techniques. In 2012 we were one of the few practices in the UK to install a Cone Beam Computerised Tomography (CBCT) Scanner. This enables the endodontists to carry out a more detailed examination of your tooth and the surrounding anatomical structures. In 2001, The Chequers Endodontic Practice was the first in the UK to install The Digital Office software program to help the endodontists refocus their practice on quality. 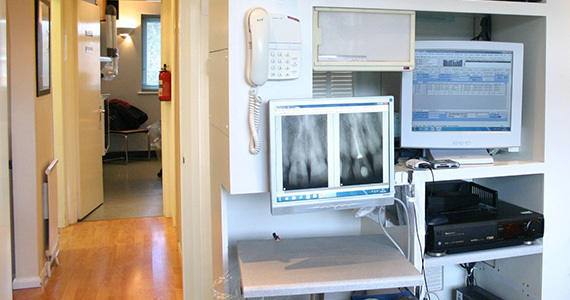 Today, it is now one of the most widely used software programs in endodontics. Together, our commitment to you is that you receive the best care that is possible today. We have policies and procedures in place which ensure that The Chequers Endodontic Practice operates in a safe and efficient manner. These policies cover data protection, our payment policy and health & safety issues.